Snack Time! Chex Mix, Bugles, and Gardetto’s Only $.75 at Safeway and Albertsons! Here is another great snack deal for us! 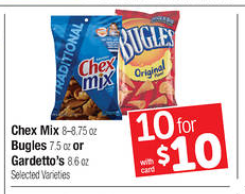 Safeway and Albertsons have Chex Mix, Bugles, and Gardetto’s on sale through Tuesday for only $1.00, plus there is a coupon out for them right now! That brings them down to only $.75 per bag! You can mix & match Bugles, Gardetto’s, and Chex Mix or just get all of the same thing, whatever works for you! It’s time to get stocked up on snacks! Final Price: $1.00 each WYB 4! 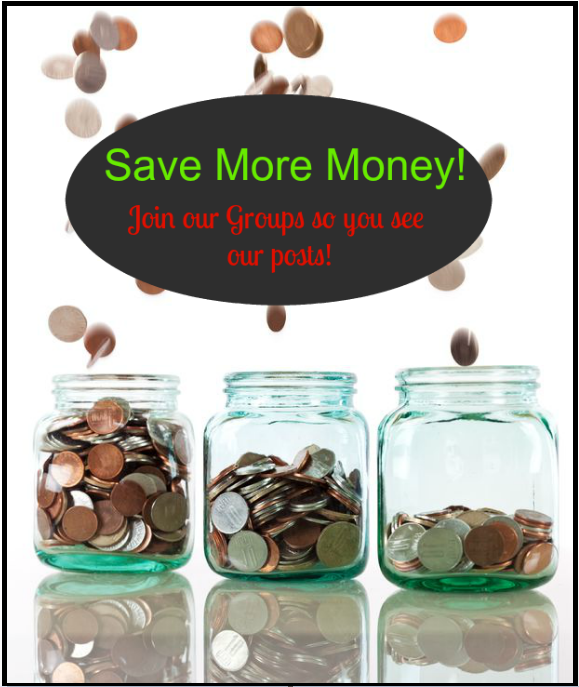 Don’t forget to check out the other Safeway and Albertsons Northwest Region Coupon Deals I have posted that you can pick up while you’re there including $.49 Lysol Products and $.50 Lindsay Olives, and $1.00 Pringles! Previous article: Snag Some $1.00 Pringles at Safeway & Albertsons + Monopoly Bonus Ticket Items! Next article: Yoplait Go-Gurt Just $1.29 at Safeway and Albertsons + Monopoly Bonus Ticket Item!